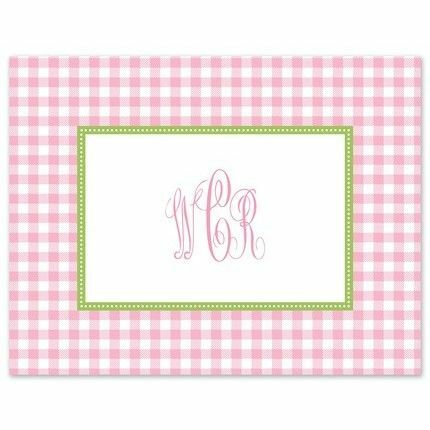 This traditional note card features a bubblegum pink gingham border. 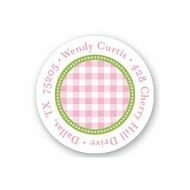 Add your personalized text to complete the look. Shown with optional monogram, M51.